Welcome to Canjiren.com, which is intended particularly for wine lovers at any stage of expertise who are looking for a complete set of tools to taste wine analytically, whether as a hobby exercise at home or while dining out, or for organizing a group wine-tasting party. Learn the basics of wine tasting with three easy to remember steps! Look, smell and taste, it's that easy. There are several factors to consider when selecting a bottle of wine: price, preference and pairing. Once you settle on your price range, your style and taste prefences will play a key role in directing your decision. If you are buying a wine to pair with a specific meal, be sure to ask your local wine merchant a couple of questions. Pairing your favorite wines with foods should not be a daunting endeavor. 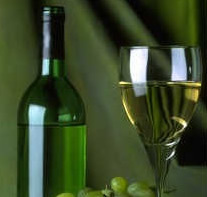 Quick tips provide a starting point, but really matching foods and wines comes down to matters of personal preference. How To Make Your Own Cookie Bouquets - We've all seen them. THREE RULES FOR CHOOSING THE RIGHT DINNER WINE - RULE NO 1: Drink the wine that you like. Cooking With Cast Iron - Cast iron cookware is an extremely versatile and economic alternative to expensive copper and copper clad cookware. Amazing Appetizer Recipes Make Parties Memorable - So you need some great party ideas, huh? Why not start with some excellent appetizers first? It's true. Old Fashion Oatmeal Cookie Recipe - This old fashion oatmeal cookie recipe tastes just like oatmeal cereal. Shafer Vineyards utilizes smart, sustainable farming practices to cultivate some top-notch wines. Recommended wines include, "Firebreak" (a Sangiovese and Cabernet Sauvignon blend), "Relentless" (a Syrah, petite Sirah blend)and their "Red Shoulder Ranch" Chardonnay. © Copyright 2019 Canjiren Wine and Wine Tasting. All rights reserved.